We would like to extend an invitation to share with you the tranquillity and secluded setting that surrounds Country Charm Bed & Breakfast, Murray Harbour, Prince Edward Island. We are pleased to offer a selection of venues; enjoy the pampering of Country Charm B&B or choose your own housekeeping cottage, Guesthouse, or Loft Suite Apartment with Forest and Stream Cottages. Surrounded by the perfection of nature, you can enjoy a stroll on our trails, bird watching, row or pedal one of our boats down the lake, try your hand at catching a trout, have a swim, enjoy a bike ride along confederation trail, or just sit and relax with a book, enjoy the scenery, serenity and Island sunsets. 50 Beaches to choose from in Eastern PEI. We will lead you to the best. 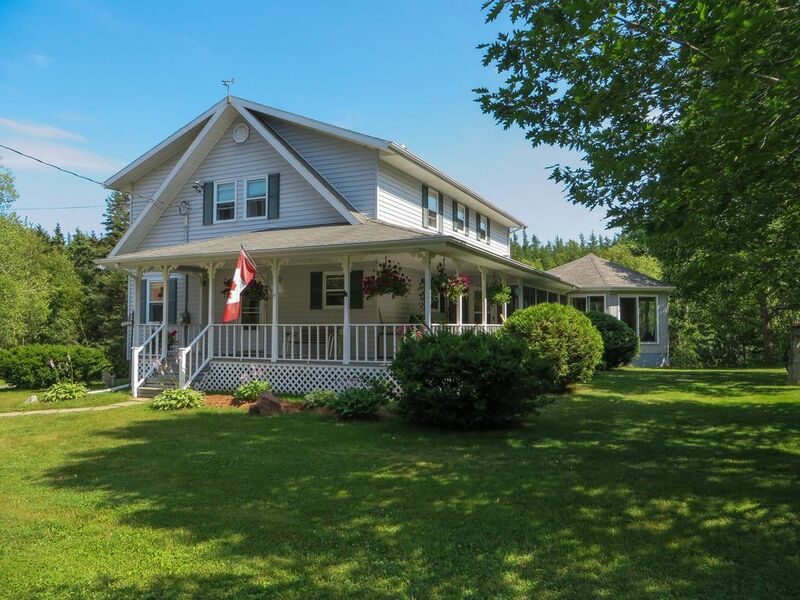 20 acre property with trails and a 1km long pond with free boats for guest use. Pond has speckled trout and can be fished with a license.